Robert Bigham Brode was a Professor of Physics and the Director of the University of California at Berkeley's Space Science Laboratory (1927-1967). During World War II, he led the Manhattan Project's Fuse Development Group at Los Alamos that developed the fuses used in the atomic bombing of Hiroshima and Nagasaki. June 12, 1900Birth, Walla Walla (Wash.). 1921Obtained BSc, Whitman College, Walla Walla (Wash.). 1924Obtained PhD in Physics, California Institute of Technology, Pasadena (Calif.). 1924Associate Physicist, National Bureau of Standards. 1924 – 1925Rhodes Scholar, Oxford University. 1925 – 1926National Research Fellow in Physics, University of Göttingen. 1926 – 1927National Research Fellow in Physics, Princeton University. 1927 – 1986Assistant Professor to Associate Professor of Physics (1927-1932); Professor of Physics (1932-1967); Acting Director, Space Science Laboratory (1964-1965); and Emeritus Professor of Physics (1967-1986), University of California, Berkeley, Berkeley (Calif.). 1932Visiting Associate Professor, Massachusetts Institute of Technology (MIT). 1934 – 1935Guggenheim Fellow, University of London. 1934 – 1935Guggenheim Fellow, Cambridge University. 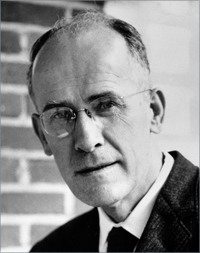 1941 – 1943Unit Supervisor, Applied Physics Laboratory, Johns Hopkins University. 1943 – 1946Leader, Fuse Development Group, Manhattan Project, Los Alamos Laboratory, Los Alamos (N.M.). 1948 – 1955Chair, Advisory Board, Naval Ordnance Test Station, United States Navy. 1949Member, National Academy of Sciences. 1951 – 1952Fulbright Fellow, University of Manchester. 1951 – 1957Member, US National Committee, Committee on Data for Science and Technology (CODATA), National Research Council. 1954 – 1960Vice President, International Union of Pure and Applied Physics. 1958 – 1959Associate Director of Research, National Science Foundation. 1962 – 1965Chair, Committee on Physics Faculties in Colleges, American Association of Physics Teachers. February 19, 1986Death, Berkeley (Calif.). Both employed at University of California, Berkeley and the Los Alamos Laboratory, Manhattan Project. Both employed at Los Alamos Laboratory, Manhattan Project and University of California, Berkeley. Leader, Fuse Development Group, Manhattan Project. Leader, Fuse Development Group, Los Alamos National Laboratory. Member, US National Committee, Committee on Data for Science and Technology (CODATA). National Research Fellow in Physics. Association of Universities for Research in Astronomy records, 1953-1974. Robert Bigham Brode papers, circa 1930-1959. Wallace R. Brode papers, 1901-1974 (bulk 1928-1969). Robert Bigham Brode Physics Today obituary.